Photo-editing apps like Instagram are great, but usually the options are limited to a couple dozen or so filters. That's not the case with Infltr, a $2 iOS app that claims 5.1 million unique hues. With this piece of mobile software, swiping across the edit screen traverses through the color wheel, applying various shades to your photo until you arrive at the perfect combo. There's no tapping on presets here. Instead, the user interface relies on those swipes around an invisible color map to make edits to your snapshots. 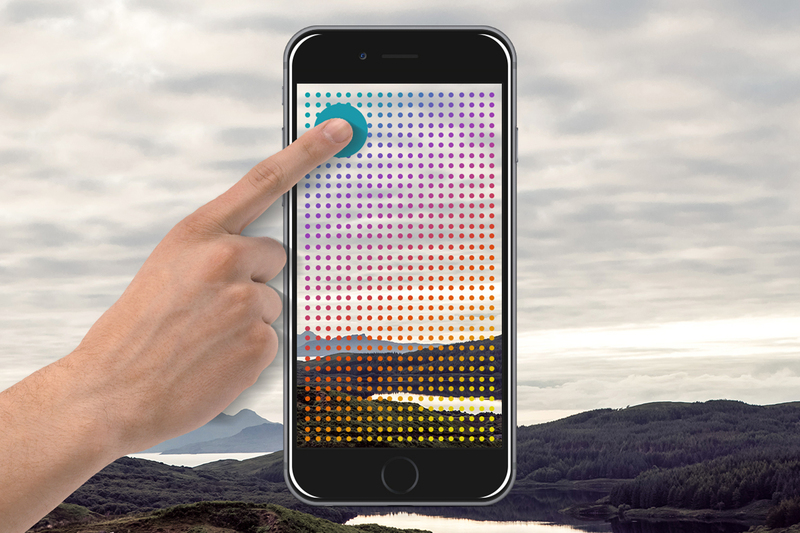 To keep track of what's being applied as you move across the display, a small color bubble appears under your fingertip. What's more, you choose a color to apply before you capture an image for a more accurate preview of the final result. Sure, it costs a couple bucks, but if you're super into mobile photos, the app certainly offers a few more options to drive those creations.